If you want to put your money where it can grow and earn a good return, considering opening a certificate of deposit is your best choice. At USAA, you will find competitive rates to help you achieve your goals. There are three types of certificates of deposits available – the variable rate CD, adjustable rate CD, and the fixed rate CD. These differ in what they offer in terms of flexibility and interest rates. The variable rate CD is perfect for those who are looking for higher than the average rates in the current market, with the added benefit of making additional deposits during the term. Adjustable rate CDs suit those who want to increase the APY rate sometime during the term applied for should the rates rise. This way, the consumer will get the chance of having equally competitive rates with the adjustment option of up to 2%. On the other hand, the fixed-rate CD offer is a straightforward and guaranteed way of expanding the growth of your investment. 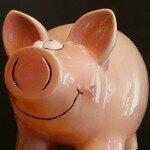 However, you will not be allowed to make any additional deposits once the term begins to mature. Daily changes to interest rates are applicable for the variable rate CD terms, while the latter two’s interest rates will remain locked in for the entire period. Another difference among these three terms is how deposits are added. At any time during the term, variable CDs allow $25 deposits every now and then. Adjustable rate CDs do not allow deposits, but the rates can be adjusted. As for fixed rate CD terms, additional deposits are not allowed. 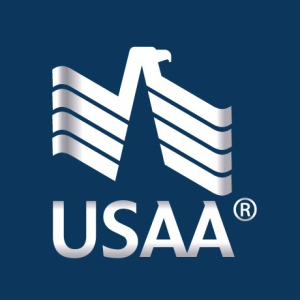 USAA had its humble beginnings when it was started by 25 Army soldiers in 1922. Its organization started out as providing insurance to one another. Currently, USAA provide a wide range of other financial services to millions of people in the country. Because of the way the economy has been going, we can’t expect CD rates to be performing well. Despite the dips and lows that fixed rate certificate of deposits have been facing, it comes as a surprise that their comrade, the jumbo CD, seems to be going up instead. Jumbo CD rates may not be at their best performance, but they sure are holding up to the rates of the past. The highest CD rate for a 1 year jumbo CD is from E-Loan, with a 1.26% APY and 1.25% rate compounded daily. Coming closely at second is Aurora Bank with 1.23% APY and 1.22% also compounded daily. After Aurora Bank’s rate is a tie between Ally Bank and Discover Bank, both at a 1.20% APY and 1.19% compounded daily. For those who choose to keep their money in jumbo CD’s for longer though, you can rejoice at a rate as high as 2.40% from First Internet Bank of Indiana. Again, Aurora Bank comes at a close second with a 2.39% APY. Ever Bank then comes at third with a 2.36% APY. These rates apply for jumbo CD rates at the longest term of 5 years. Past 1 year jumbo CD rates have gone up to 1.45%, but the rates today aren’t too far off despite the economic instability. This allows individuals, small businesses and company owners to breathe a sigh of relief knowing that they can still see some growth with their money. All of these banks have a $100,000 minimum deposit policy. Jumbo certificates of deposit essentially have the same perks as other fixed rate CD’s, and at this time of unpredictability, it’s good to know that the jumbos are still prevailing.